The Commercial and Financial Chronicle: Vol. 22. January to June, 1876, Inclusive. - IFA Vintage and Current Book Library - Index Fund Advisors, Inc. 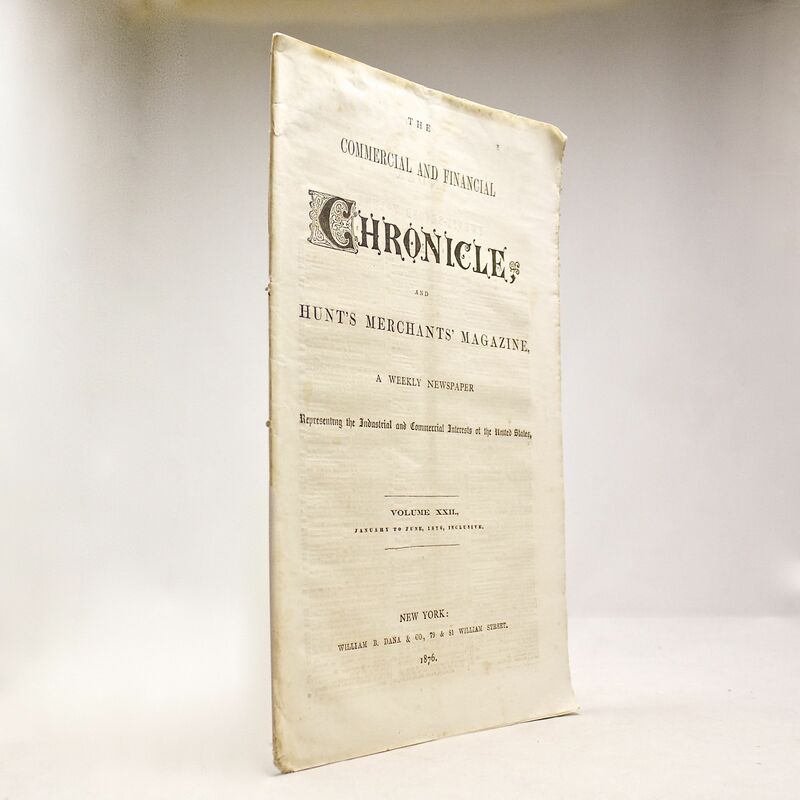 The Commercial and Financial Chronicle: Vol. 22. January to June, 1876, Inclusive. Notes: The Commercial and Financial Chronicle, And Hunt's Merchants' Magazine, A Weekly Newspaper, Representing the Industrial and Commercial Interests of the United States.